ViacomInternational Media Networks is set to expand the Paramount+ streaming video platform to Latin America. 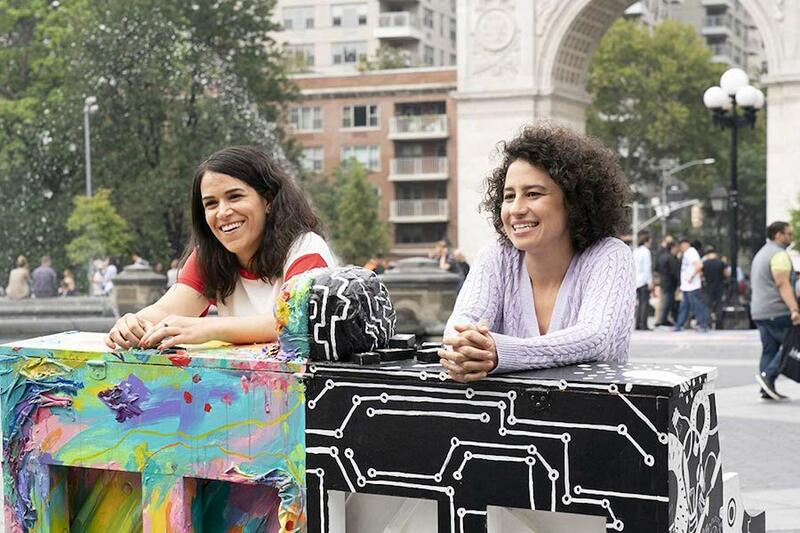 The fifth and final season and full series set of critically acclaimed series “Broad City” will arrive on DVD July 9 from Paramount Home Media Distribution. “Broad City” season five will be available in a two-DVD set and “Broad City” The Complete Series will be available in an 11-DVD set, which includes an extra disc of special features. 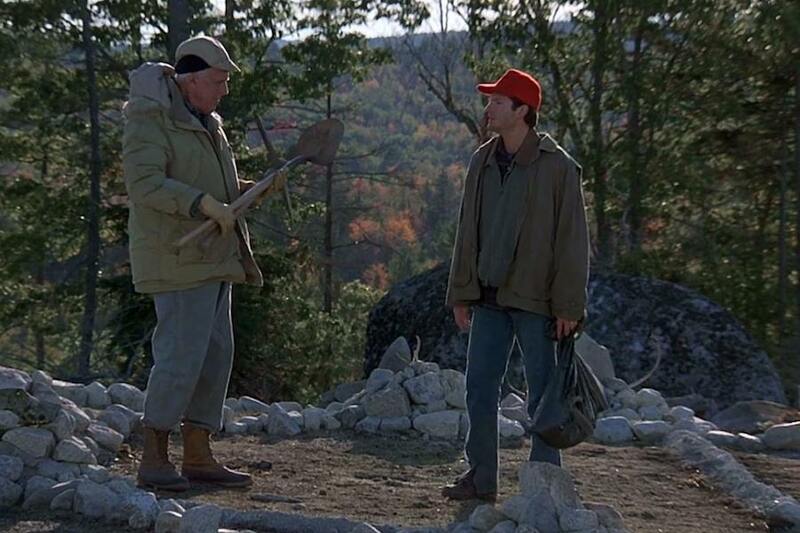 Season 1 (two discs) includes 10 episodes; outtakes and deleted scenes; video commentary on select episodes; and a photo gallery. Season 2 (two discs) includes 10 episodes; outtakes and deleted scenes; a pop-up enhanced episode; “Hack Into Broad City”; and “Body by Trey” videos. Season 3 includes 10 episodes; “Hack Into Broad City”; “Behind the Scenes with Broad City”; deleted scenes; and NOMO FOMO, an art show about broads in the city. Season 4 (two discs) includes 10 episodes; “Hack Into Broad City”; “Behind Broad City”; and deleted and extended scenes. Season 5 (two discs) includes 10 episodes; “Hack Into Broad City”; and outtakes and deleted/extended scenes. The complete series special features disc includes “Abbi & Ilana’s Broad City”; “Behind the Scenes,” which includes two set tours and two featurettes on the costumes; a fan surprise; “The Making of Season 5,” which includes three featurettes, one of which is exclusive to the DVD; and “A NYC Broad City Send-Off Fit for a Queen” exclusive to the DVD. 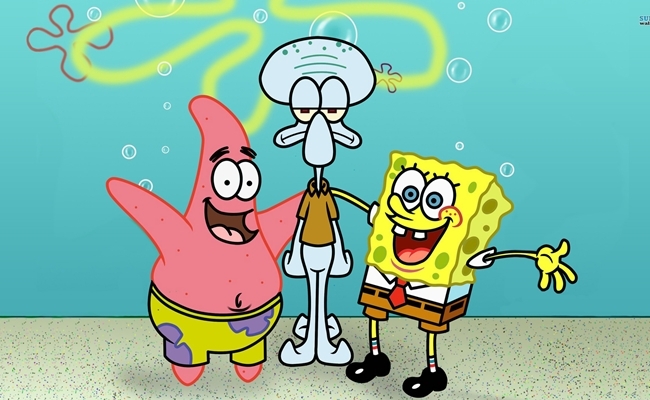 T-Mobile and Viacom April 3 announced they have entered into a content distribution agreement. Under terms of the deal, Viacom’s brands — MTV, Nickelodeon, Comedy Central, BET, Nickelodeon, Paramount — will play a key role in T-Mobile’s pending mobile video services to consumers later this year. The deal enables T-Mobile to bring together live linear feeds of Viacom channels as well as a broad range of on-demand content to serve the carrier’s nearly 80 million customers. For Viacom, the agreement is another strategic effort to expand the media giant’s lagging digital footprint. 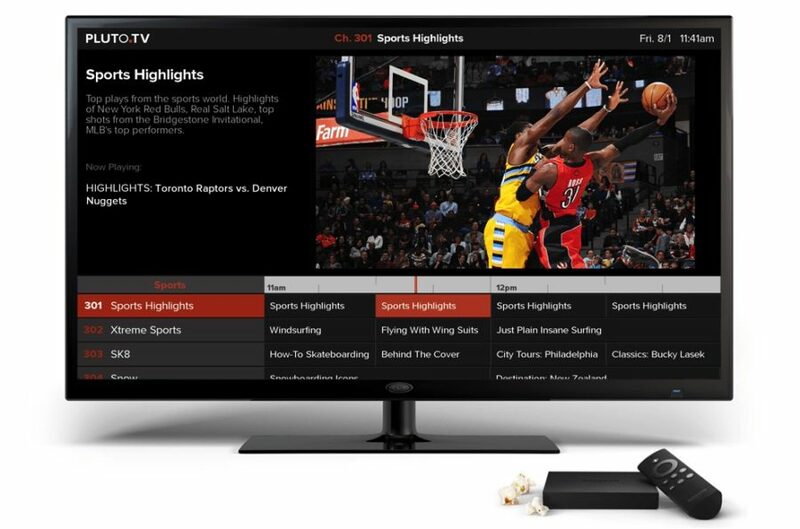 The company recently acquired ad-supported VOD service Pluto TV. ‘[It] marks a major step forward in our strategy to accelerate the presence of our brands on mobile and other next-generation platforms,” said Viacom CEO Bob Bakish. Last year, T-Mobile acquired cable TV disruptor Layer3 TV, and with that team, talent and technology, the company has been readying its first wave of home and mobile TV offerings. 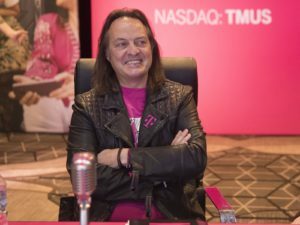 In recent months, T-Mobile executives have shared some of the company’s plans to launch first with an in-home TV solution, designed to replace cable for the 5G era, and longer term, executives say the company will introduce mobile TV services beginning with Viacom as a cornerstone launch partner. 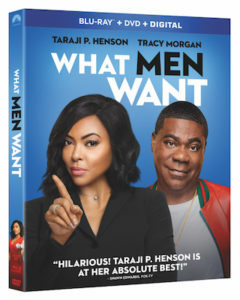 The comedy What Men Want, starring Taraji P. Henson, will come out on digital April 23 and Blu-ray combo pack and DVD May 7 from Paramount Home Media Distribution. The film earned $50.1 million in theaters. Ali Davis (Henson) is a successful sports agent who’s constantly boxed out by her male colleagues. After a wild night out with the girls, she mysteriously gains the ability to hear men’s thoughts. With her newfound power, Ali looks to outsmart her colleagues as she races to sign the next basketball superstar, but the lengths she has to go to will put her relationship with her best friends and new love interest to the test. 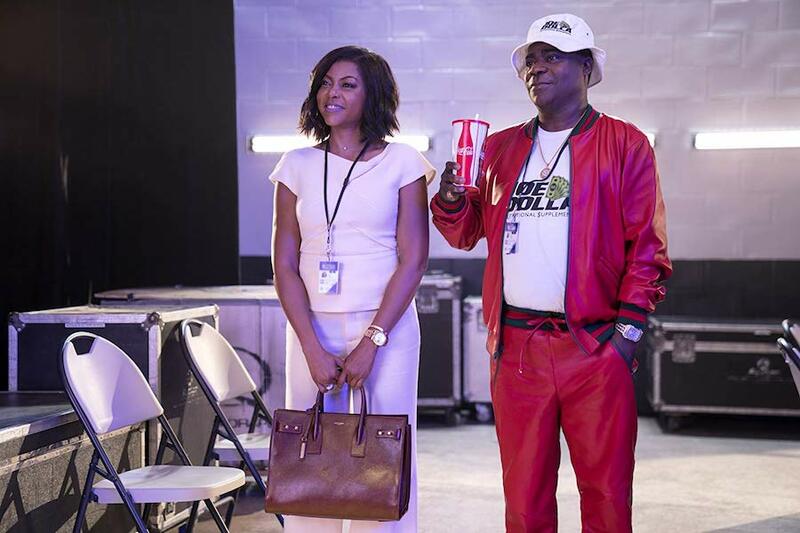 The film also stars Aldis Hodge, Richard Roundtree, Wendi McLendon-Covey, Erykah Badu, Max Greenfield and Tracy Morgan. 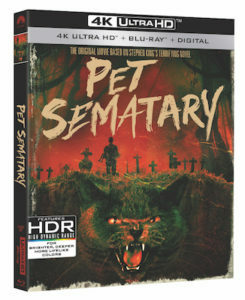 The digital and Blu-ray combo pack (with a digital copy) releases include more than an hour of bonus features, including a gag reel, deleted and extended scenes, a spoof infomercial featuring Badu, and interviews with the cast. The Blu-ray also features a commentary with director Adam Shankman. 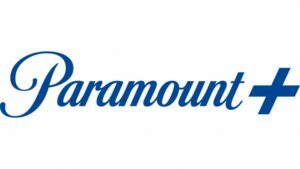 Paramount Pictures is in the midst of a turnaround that pledges fiscal-year 2019 (ending Sept. 30) profitability for the first time since 2015. 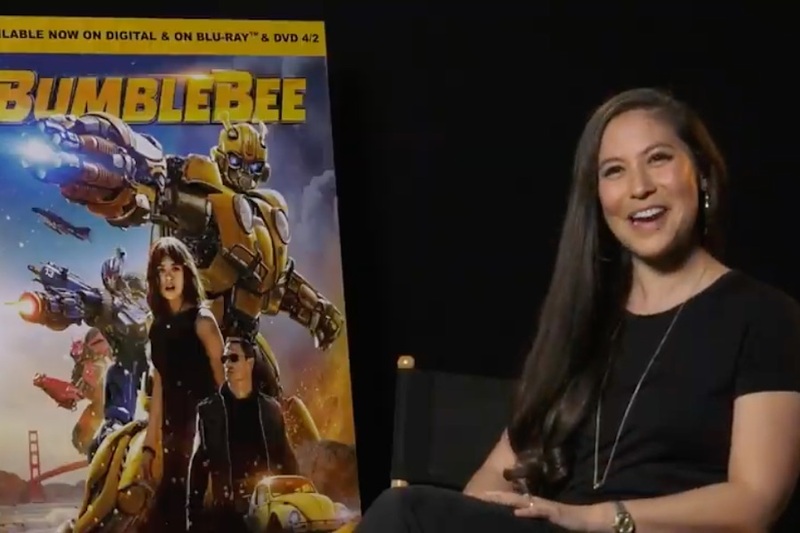 While the vaunted studio improved first-quarter (ended Dec. 31, 2018) operating income by $40 million — its eighth consecutive quarter of improvement — due the theatrical performance of Bumblebee and Instant Family, a key profit driver was television content production. 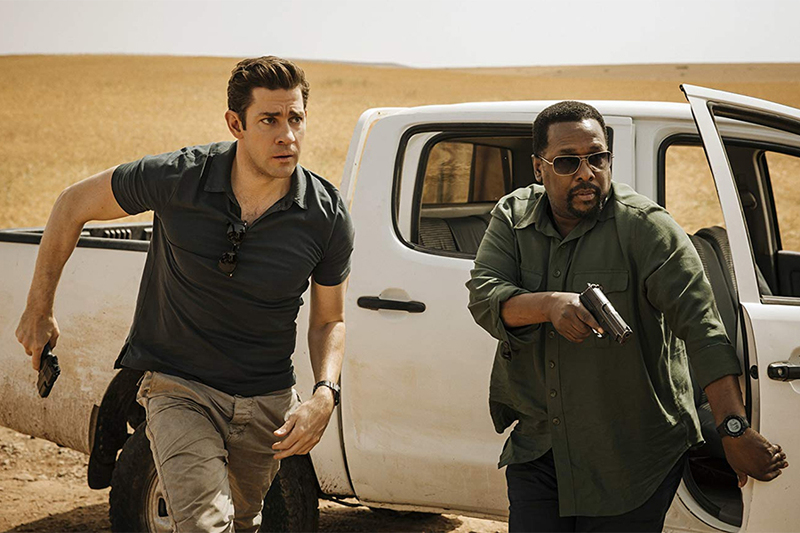 Television revenue in the quarter ballooned 84% year-over-year driven by the release of Netflix’s “The Haunting of Hill House,” “Berlin Station,” on Epix, the recent greenlight for a third season of “Tom Clancy’s Jack Ryan” on Amazon Prime Video, and production of Netflix series “Maniac” and “13 Reasons Why,”among others. Studio boss Jim Gianopulos contends the agreement with Netflix and other streaming services replicates past industry practices around “movie-of-the-week” productions for broadcast TV. “The difference, of course, is that the quality of these films is much higher, making these relationships even more valuable,” Gianopulos said last November when announcing an agreement with Netflix to produce original movies for the streaming service. To Bob Bakish, CEO of corporate parent Viacom, Paramount’s renewed success underscores a case study driven by new management. 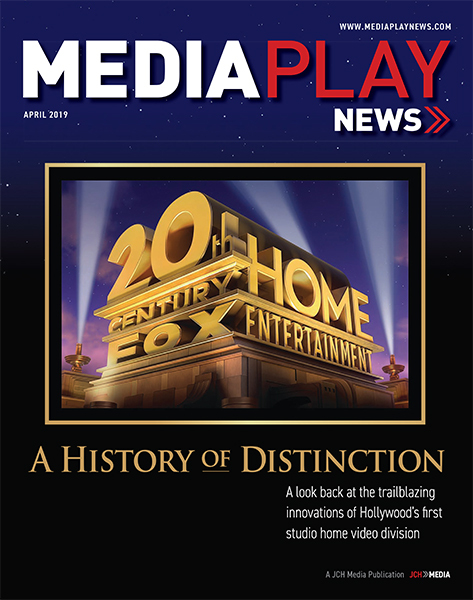 Speaking Feb. 26 at the Morgan Stanley technology, media & telecom confab in San Francisco, the executive’s comments coincided with the promotion of Dan Cohen to president of worldwide home entertainment & television distribution. Cohen’s priority will be television production, a business Bakish said didn’t exist at Paramount four years ago. The unit generated $400 million in revenue in 2018 — and is expected to grow 50% to $600 million in 2019. “It’s not about delivering shows, it’s about delivering hits,” Bakish said. 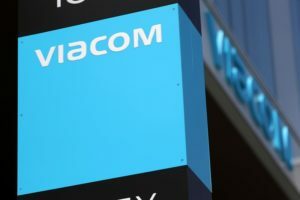 On the heels of its $340 million acquisition of Pluto TV, Viacom plans to expand the ad-supported streaming video service globally, featuring the media company’s proprietary content-producing brands, including MTV, Paramount, Comedy Central, BET and Nickelodeon, among others, CEO Bob Bakish told an investor group. The free streaming service with more than 100 channels launched operations in Germany, Austria and the United Kingdom at the end of 2018. Speaking Feb. 26 at the Morgan Stanley technology, media & telecom confab in San Francisco, Bakish said Viacom’s decision in 2016 to pull back bulk content distribution through third-party digital channels was a double-edged sword. “We kind of took it on chin for two years with respect to distribution revenue when we weren’t doing those kinds of deals,” Bakish said, adding that the content backlog presents distribution options for Pluto TV going forward. The executive said Viacom generates upwards of 13 million monthly users to digital products that include Nickelodeon’s Noggin streaming service, in addition to platforms surrounding Comedy Central and BET. Viacom also plans to market over-the-top distribution to its linear pay-TV business partners. 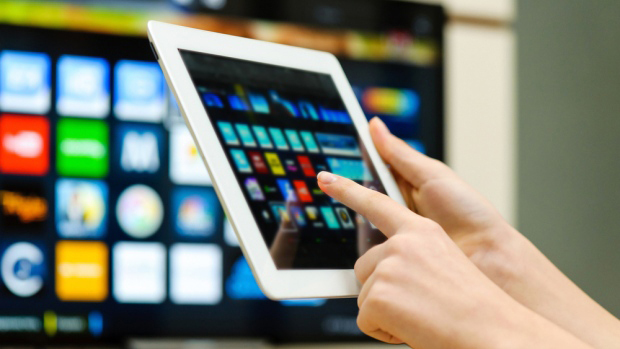 At the same time, the executive said digital distribution has been hampered by the traditional pay-TV ecosystem, existing distribution agreements and related monetization opportunities. “We don’t have a demand problem, we have a supply problem,” Bakish said. The executive contends Pluto TV offers Viacom’s brands and advertisers a very “attractive” demographic that he claims are “essentially” not tethered to traditional pay-TV. In addition, Bakish contends Pluto’s ad-inventory is 50% unsold due in part to a “nascent” ad force he said didn’t have access to Viacom’s portfolio of national brands and global marketers. Viacom Feb. 20 announced a carriage agreement with online TV service Fubo TV incorporating entertainment brands such as Paramount, Nickelodeon, MTV and Comedy Central to the sports-themed streaming service. Viacom’s other media networks – BET, Nick Jr., TV Land and VH1 – will also be included in fubo TV’s base package. An expanded suite of Viacom channels will be available in the premier package, “fubo Extra,” including BET Her, BET Jams, BET Soul, Logo, MTV2, MTV Classic, MTV Live, mtvU, Nick Music, Nicktoons, and TeenNick. This partnership also enhances fuboTV’s Spanish-language base package, “fubo Latino,” with Viacom’s Telefe and MTV Tr3s networks. “This is a great opportunity to continue to grow our reach and audiences across the OTT landscape and connect with our fans wherever they consume content,” Tom Gorke, EVP, head of distribution and business development, for Viacom, said in a statement. Notably, Viacom earlier this year acquired ad-based online TV service Pluto TV for $340 million. The fubo TV deal offers subscribers access to MTV’s “Jersey Shore: Family Vacation,” Comedy Central’s “The Daily Show,” Nickelodeon’s “Rise of the Teenage Mutant Ninja Turtles,” and Telefe’s “Campanas en La Noche,” among other programs. Lionsgate’s newly released Hell Fest is the only new release to make the Redbox charts for the week ended Jan. 13. The slasher film, about a group of teens who are stalked by a serial killer at a Halloween carnival, debuted at No. 9 on the Redbox kiosk chart, which tracks DVD and Blu-ray Disc rentals at the company’s more than 40,000 red vending machines, and No. 10 on the Redbox On Demand chart, which tracks transactional video-on-demand (TVOD), both electronic sellthrough (EST) and transactional streaming. Universal Pictures’ Night School once again scored a double win, remaining at No. 1 for the third consecutive week on the Redbox kiosk chart and the second week on the digital chart. Venom, a superhero film based on the Marvel Comics character of the same name, remained at No. 2 on the kiosk chart but slipped to No. 4 on the digital chart. Universal Pictures’ The House With a Clock in Its Walls, a family fantasy about a young boy who is sent to live with his uncle in a spooky old house, remained at No. 3 on the kiosk chart but slipped to No. 9 from No. 5 on the digital chart. White Boy Rick, from Sony Pictures, moved up to No. 4 on the Redbox disc-rental chart after debuting at No. 7 the prior week. Bowing at No. 5 was 20th Century Fox’s Bad Times at the El Royale, which became available to Redbox one week after its street date. On the Redbox digital chart, Paramount’s Book Club, released back in August, reappeared in the top 10 at No. 2. Bad Times at the El Royale was No. 3, with White Boy Rick rounding out the top five.